If you are selling your food products in recyclable packaging, let your customers know by simply stamping this label on the box or bag. 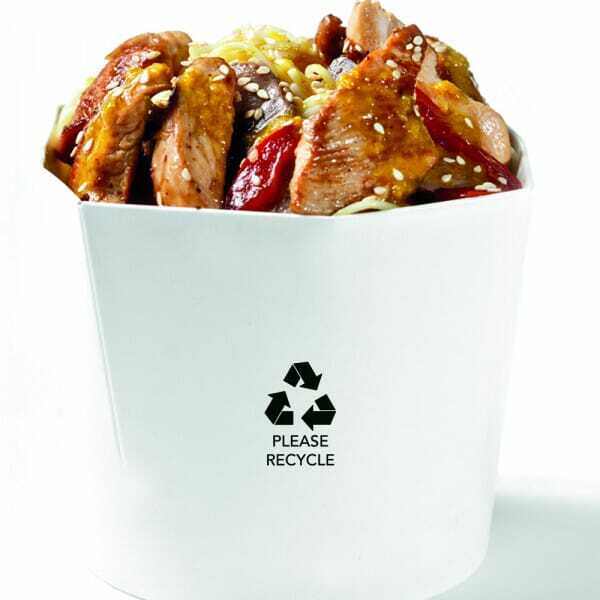 It will help your environmentally-conscious customer to properly dispose of the packaging. This self-inking stamp doesn't require a separate stamp pad, as it has an ink cartridge built-in. It will last for thousands of impressions. Once it does run out, replacement ink cartridges are available so that your stamp will last even longer. Customer evaluation for "Takeaway Packaging Stamp - Recycle"